Spokesman Books' Human Rights, Peace and Nuclear Disarmament titles. Authors include Bertrand Russell, Noam Chomsky,Tony Bunyan of Statewatch, Robert Hinde of Pugwash UK, Ken Coates, Alva Mydral, George Farebrother, Seymour Melman and Kurt Vonnegut. 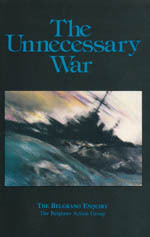 The nuclear-armed states and their allies cite deterrence as the primary justification for maintaining nuclear weapons. Its fallacies must therefore be exposed and alternatives offered if they are to be eliminated. 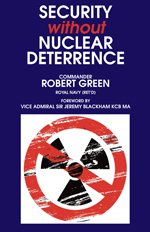 As a former operator of British nuclear weapons, Commander Green chronicles the history, practical difficulties and dangerous contradictions of nuclear deterrence. He offers, instead, more credible, effective and responsible alternative strategies to deter aggression and achieve real security. As soon as he could, at the age of seventeen, Robert Hinde volunteered for the RAF. After a frustratingly long period of training, he was assigned to Coastal Command, where he became a pilot flying Catalina and then Sunderland flying boats. Upon his release in January 1946 he went to St. John's College, Cambridge to read Natural Sciences (Zoology). He then went to Oxford (Balliol College and the Zoology Department), where he did field work towards a D. Phil. under the guidance of David Lack and the newly arrived Niko Tinbergen. In 1950 he returned to St. John's College and the Zoology Department in Cambridge, where he helped William Thorpe establish an Ornithological Field Station (later named the Sub-Department of Animal Behaviour) in Madingley. Robert was awarded a Royal Society Research Professorship in 1963, and he set up an MRC Unit on the Development & Integration of Behaviour in 1971. From 1989-1994 he was Master of St. John's College, Cambridge. 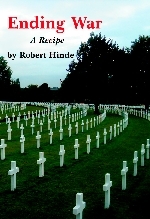 After the war, Robert became heavily involved in peace movements, particularly the Movement for the Abolition of War and the Pugwash Conferences on Science and World Affairs. 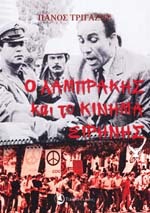 'Grigoris Lambrakis was an exuberant personality, a courageous and ardent fighter for peace, democracy and social justice. We walked together in 1963 on the great march from the atomic weapons facility in Aldermaston to London, where we got to know each other, and I became a profound admirer of his passion for peace. Panos Trigazis is SYRIZA's co-ordinator for international relations and peace, a leading member of the European Network for Peace and Human Rights, and president of the Observatory of International Organisations and Globalisation (PADOP). Originally published in Germany on 1st May 1924, this classic pictorial record of the First World War has long been hard to obtain. 'War Against War! 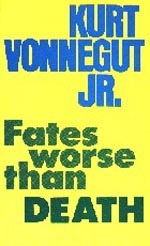 is one of the most shocking books I have ever seen. As much a series of photographs as a book, it first appeared in 1924, the work of Ernst Friedrich, an anarchist, socialist, internationalist and peace worker. Cover: Ernst Friedrich addresses German soldiers in Berlin's Siegesallee, calling them to revolution. In 1944, as the war in Europe moved to its climax, the extraordinary struggle of the Greek Resistance moved into its tragic phase. Caught in the quite extraneous decisions agreed between the super powers, the Greek people found that their own wishes were not to be allowed to determine their fate. 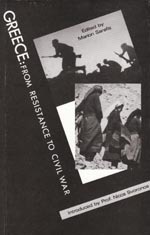 From Resistance to Civil War explores this tense drama and points a moral which is relevant far outside the frontiers of Greece. Contributors include top-level participants in these events such as Brigadier Eddie Myers (Head of the British Military Mission to the Greek Resistance 1943) and Thanasis Hajis (Secretary-General of the left-wing EAM Resistance Movement 1941-44), as well as British, German and Greek historians who have drawn extensively on Government Archives which had only recently become available for study. This books is edited by the widow of the Major-General Stefanos Sarafis, military commander of ELAS, the National Popular Liberation Army, for the Society for Modern Greek Studies. Dr Medvedev gives a comprehensive analysis of the long-term global effects of the nuclear explosion at the Chernobyl power plant in 1986. He examines the technical, environmental, agricultural, health and economic impacts of the catastrophe. 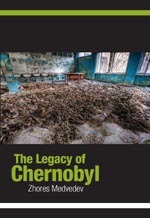 To mark the 25th anniversary of the disaster at Chernobyl, we publish this new edition with an extended introduction by the author. Dr Medvedev considers the lessons of the disasters at Kyshtym in the Urals in the 1950s, at Chernobyl, and now at Fukushima in Japan.
" ... a clear and well-informed analysis not only of the causes of the Chernobyl accident, but also of its consequences for public health and the environment." " ... one of the first insider's looks into what happened, and what it all meant ... (Medvedev) peeled aside government secrecy regarding the explosion and its effects." The shortcomings in our society need more than readjustments to our political, financial, and legal institutions. There must be a better regard for morality at every level, from individuals to government. 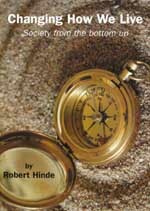 This book explores the nature of our morality. It identifies how changes can be made so that each of us takes responsibility for looking after each other and our planet, and shows that a better society is within our power. Robert Hinde served as an RAF pilot in World War Two before training as a biologist. He subsequently carried out research in biology and the human sciences. He has been elected a Fellow of the Royal Society, the British Academy, the Royal College of Psychiatry, the US National Academy of Sciences, and the American Academy of Arts and Sciences. He has served as Master of St. Johns College, Cambridge. Professor Hinde has received awards for research in Anthropology, Developmental Psychology, Social Psychology, Psychiatry, Ethology, Primatology, and Zoology. This is the ePUB version of Changing How We Live, which can be downloaded onto your PC, Sony eReader, iPad and iPhone. Once bought please SAVE THE FILE and add it to your eReader as required. This publication brings together for the first time all the leaked memoranda about the British Government's decision to go to war on Iraq, plus the Attorney General's legal advice. You can read the full text of the revealing memorandum about preparations for war on Iraq, dating from July 2002, (which) was leaked to the press in the days before the 2005 General Election.
" 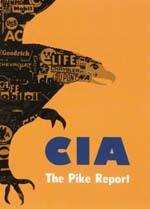 ... the work of the Pike Committee and the other bodies is an exceedingly positive chapter in American history. Who would have dreamed, two years ago, that such a great volume of information on secret American intervention in foreign countries would ever be made public? Who would have dreamed that the vast, illegal domestic operations of the CIA, FBI and NSA would be revealed in great detail? Every bit of this information, together with the general methodology that emerges, can be used by people and organizations to protect themselves now and when the next wave of the same occurs. No doubt wide areas of CIA operations were omitted almost entirely, such as those in the trade union field, but no one can say the world's knowledge of secret intervention hasn't improved thanks to the investigations. Of equal importance is the continuing strength of the best popular traditions in the United States that the investigations demonstrate: the free flow of information, resistance to oppression by government bureaucracy, resistance to government secrecy and coverups. Through the effective functioning of these traditions Americans have been able to learn how necessary corruption and hypocrisy are to the way the current system operates. Abolition of covert action operations, which corrupt the country's expressed principles, cannot come until fundamental changes are made in other institutions. Meanwhile, the treasure of knowledge gained through the investigations must surely contribute to the understanding that government in a "liberal" society must of necessity function in favour of one class and to the detriment of another. In July 1976 the chief investigator of the House Committee on Standards of Official Conduct, who had been trying since March to discover how the copies of Parts I and II of the Pike Report were leaked to Daniel Schorr, reported that nearly 50 copies of the report were in different executive and congressional offices when the leak occurred. None of the 207 government officials questioned, including Secretary Kissinger and the members of the Pike Committee, would admit to being the culprit. 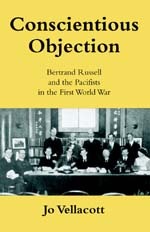 Thanks to one of them, at least, the Bertrand Russell Peace Foundation is able to present for the first time in book form Parts I, II and III of the Pike Report, a document of truly historic significance not only for Americans but also for peoples the world over who have suffered from clandestine American intervention." "The documents reproduced in this book are the internal memoranda of ITT - International Telegraph and Telephone Corporation. 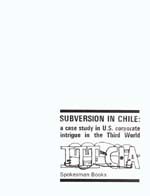 They deal with the attempt by ITT to subvert the democratic process in Chile, to thwart the election of Salvador Allende in the autumn of 1970. The existence of these documents was first revealed on 21st March 1972 by columnist Jack Anderson in the Washington Post. This was shortly after he had revealed ITT documents giving details of how the Nixon administation was persuaded to drop a series of anti-trust suits against ITT, which were concerned with the takeover by ITT of Hartford Fire Insurance Corporation - one of the largest takeovers ever - in return for $400,00 donation by ITT towards the cost of the 1972 Republican Party Convention. These papers on Chile, unlike the anti-trust cases, have not been denounced by ITT as forgeries. In fact the corporation has been strangely silent about the whole affair. The documents are most photo-reproductions. 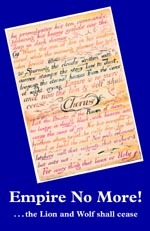 A few however have been transcribed for the purpose of legibility." In October 1965, the Indonesian army embarked upon a vicious campaign of mass murder with the aim of destroying he country's powerful Communist Party. In the space of just a few months, the army massacred between 500,000 and one million innocent people, mostly rural peasants who had joined th Communist Party in the hope of improving their lives. The killings paved the way for the seizure of power by a military junta headed by General Suharto. Suharto's regime became synonymous with corruption and human rights abuse, but his willingness to integrate Indonesia into the global capitalist system made him a darling of the United States and Great Britain. To this extent the massacre - one of the most devastating mass murders of the 20th Century - constituted what Noam Chomsky called a "constructive bloodbath" from the point of view of prevailing Cold War orthodoxy, and the US and Britain did what they could to encourage the slaughter. 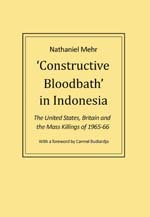 'Constructive Bloodbath' in Indonesia examines the relationship between Suharto and his Western allies before, during and after the killings. Thomas Paine was a man of words. He inspired the American struggle for independence; he defeated the causes of the French Revolution. He was the greatest of the English/American 18th-century radical writers, with timeless works such as Common Sense, The Rights of Man, and The Age of Reason. 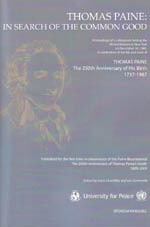 This book, Thomas Paine: In Search of the Common Good, offers reflections on his life and writings by a group of experts and specialists who came together at a Thomas Paine Colloquium held at the United Nations in New York. Joyce Chumbley is a researcher, writer, activist. For over three decades, she has been involved in education, the arts, and progressive environmental, social, and political issue from her base in Florida. 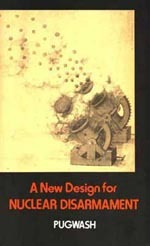 Leo Zonneveld is an author and editor. He served the United Kingdom government, as high technology specialist and lastly as science attaché at the British Embassy in The Hague, for 37 years. By The Thomas Paine Society in Journal of Radical History, Vol. 9, Number 4, 2009. This Clandestine History of Operation Ajax to overthrow the Prime Minister of Iran was written for the US Central Intelligence Agency in March 1954 by Dr. Donald N. Wilber. 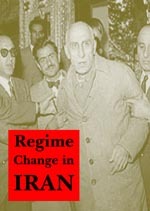 It gives a unique insight into the extent to which the CIA and its British ally went in pursuit of their aim to remove Iran's elected head of government in 1952-53. 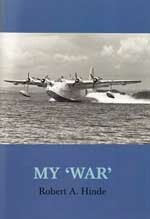 Robert A. Hinde was a Coastal Command Pilot, flying Catalinas and Sunderlands, in World War Two. After the war he workeded as a biologist/psychologist at Cambridge University. He was appointed a Royal Society Research Professor in 1963, and was Master of St. John's College, Cambridge from 1989 to 1994. He is Deputy Chair (recently Chair) of the British Pugwash Group, Patron of the Movement for the Abolition of War, and Patron of the Weapons of Mass Destruction Awareness Programme. The British Pugwash Group is an affiliate of the Pugwash Conferences on Science and World Affairs, recipient of the 1995 Nobel Peace Prize. The Belgrano inquiry was a citizens' enquiry which took place in November 1986 and which provided an opportunity for a number of distinguished experts to express their candid opinions. They include Malcolm Harper, Brigadier Michael Harbottle, Tam Dalyell MP, Clive Ponting, Ken Coates, Paul Rogers and Wade Tidbury. 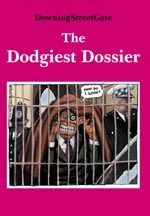 The proceedings of that enquiry are recorded in this book together with a preface by Clive Ponting, the senior civil servant at the MOD who was prosecuted for his Belgrano revelations to an MP. Twenty-four years ago (1986), a group of us organised the two-day Belgrano Inquiry at Hampstead Town Hall, London. This was the nearest there has ever been to a proper independent inquiry into the sinking of the Belgrano, and was supported by a number of important witnesses. The entire proceedings were recorded. Key extracts are available at the Sound Archive on this site, plus other back ground information and in-depth analysis. At the end of August 2004, Members of Parliament in Britain joined together to start a process that could lead to the impeachment of Prime Minister Blair "for High Crimes and Misdemeanours in relation to the invasion of Iraq". The MPs from different parties published a report setting out "compelling evidence of deliberate repeated distortion, seriously misleading statements and culpable negligence on the part of the Prime Minister. This misconduct is in itself more than sufficient to require his resignation ... The core conclusion of this report is that the impeachment of the Prime Minister has a strong basis in fact, and established precedent in parliamentary law." Dr Glen Rangwala lectures in politics at Cambridge University. Dan Plesch is an Honorary Fellow of Birkbeck College, University of London. 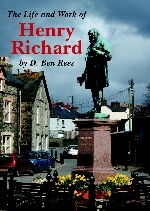 Henry Richard, the Apostle of Peace, was a Congregational minister, Welsh Member of Parliament 1868-88, and Secretary of the Peace Society (1848-84). He was elected Member of Parliament for the Merthyr boroughs in Wales in 1868 and became an influential Nonconformist in the House of Commons. Tony Benn held major responsibilities for Britain's nuclear industry over eight years in a variety of ministerial posts. 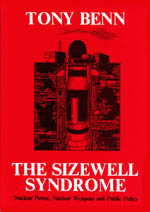 Here in his evidence to the Sizewell Public Inquiry, under close cross-examination, he explains in detail his considered views. 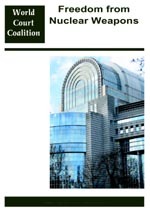 In July 2006 legal experts and civil society representatives met in Brussels to examine the legality of nuclear weapons in depth. They developed proposals for action by citizens to uphold the law, calling on diplomats and politicians to honour their Good Faith obligations. This book records their conclusions, and outlines a way forward. The 'war on terror' has continued with no end in sight in the years since the attacks on the United States on 11 September 2001. 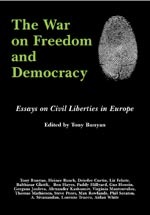 It permeates the institutions of the body politic in Europe, sacrificing liberty and freedoms in the name of a constructed 'politics of fear' and demands for security. We have learnt that the greatest threat to 'our way of life' and democracy comes not from terrorism but from our governments' reactions to it. The emergency measures that at first were presented as 'expectional' are now the norm. Contributors: Tony Bunyan, Heiner Busch, Deirdre Curtin, Liz Fekete, Balthasar Glatti, Ben Hayes, Paddy Hillyard, Gus Hosein, Gergana Jouleva, Alexander Kashumov, Virginia Mantouvalou, Thomas Mathiesen, Steve Peers, Max Rowlands, Phil Scraton, A. Sivanandan, Lorenzo Trucco and Aidan White. To achieve world peace it is necessary not only to resolve current disputes, but also to create a situation in which disputes do not arise. For this to happen, education must play a central role. It has to encompass the issues of competition and co-operation between individuals, groups and nations; the nature of peace and war and a proper understanding of history; the interdependence of nations; respect for diversity; human rights and freedoms. Wars and threats of war seethe all around us. The end of the Cold War, far from bringing a new era of universal peace, gave place to a frenzied new drive to build more powerful and deadly weapons, and a permanent Orwellian war on terror which is self-renewing, and, it is to be feared, unwinnable. 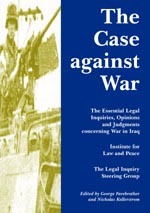 The Case Against War comprises an extensive collection of legal opinion on Britain's participation in the Iraq War. It covers the entire legal proceedings of a citizen's tribunal, held on the 11th October 2002 in London, on the legality, or otherwise, of the then forthcoming war on Iraq. 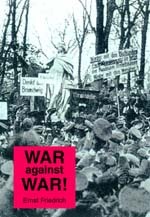 Further legal Opinions by Rabinder Singh and Charlotte Kilroy are also to be found here from 2003, as well as the full documentation of CND's case for a judicial review of the British Governments decision to go to war. Man has been on this planet for one million years, and in that time has come a long way. He could achieve great things in the next million. What are his prospects if he can manage to survive the present danger of universal destruction? After posing this question, Bertrand Russell examines this danger in its most urgent form: the development of nuclear weapons and the hypocrisy of official attitudes to them. 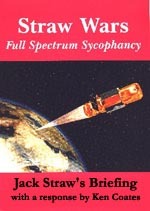 Straw Wars includes the verbatim texts of the statements by Jack Straw, with point-by-point rebuttals. It also includes the full text of the United States Space Command's Vision for 2020. This deadly serious document speaks very candidly about what is behind the impending repudiation of the Anti-Ballistic Missile Treaty, and the wholesale violation of the Outer Space Treaty. The salient points of these Treaties are also reproduced. 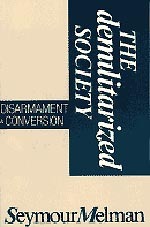 The Demilitarized Society diagnoses the economic and allied decay caused by militarism, and formulates a set of proposals - political and economic - for demilitarizing our societies. The Game of Disarmament is the definitive account of the arms race and the militarisation of our world, by Swedens former Minister for Disarmament. Alva Myrdal masterfully explains why neither of the superpowers seriously tried to achieve disarmament. Whatever Happened to the Peace Dividend? Marek Thee, reveals, that despite the decline of the Cold War, spending on military research and development was already increasing even before the Gulf crisis unfolded. What are the main features of this new arms race? What is happening inside the world's military laboratories? How can they be opened up to public scrutiny, and how can the enormous scientific resources they swallow up be liberated to serve more humane purposes? Marek Thee addresses his subject with characteristic thoroughness. 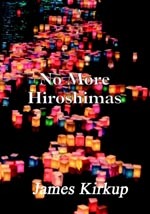 When the European Peace movement held its Eighth Convention on European Nuclear Disarmament in Victoria-Gasteiz, Spain in July 1989, it was glad to celebrate the potential reversal of the arms race, against which it had struggled for so many years. This book, which demonstrates the maturity and relevance of the peace movement in the face of the manifold threats to civilised life. 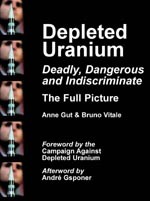 Depleted Uranium: Deadly, Dangerous and Indiscriminate scrutinises the available evidence of the effects of DU on human health and the environment, and makes the case for stopping completely the manufacture, deployment and the use of DU munitions. 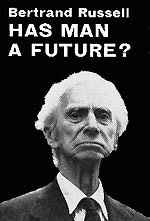 In 1980, facing up to a renewed upsurge of militarism, the Bertrand Russell Peace Foundation joined forces with a number of others to launce the appeal for European Nuclear Disarmament. This began with a warning. 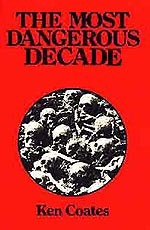 "We are entering the most dangerous decade in history", it said. There is a good deal of new evidence to show that this appreciation was exact, containing not a milligram of exaggeration. 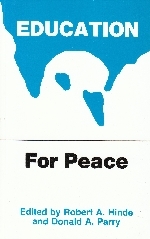 This book seeks to draw lessons from the experience of the peace movement in order to strengthen the work of the United Nations. It proposes important reforms of the structure of the world organisation, while defending key principles of international law and co-operation. 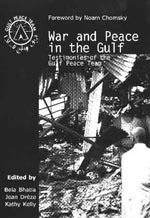 The Gulf Peace Team is a living expression of the authors' vision for a peaceful world, a world where non-violence and conflict resolution are used instead of force. "Without the courageous efforts of the Gulf Peace Team, we may not have had a sense of the real possibilites of peace and of the humanity of the Iraqi people." I'm sorry to have been such a slovenly responder to your good letters. I can't come to Brussels in July, but the world seems to be one big city now. I ran into the Mayor of Nagasaki, whose mother was pregnant with him when the bomb was dropped, only this afternoon - two hundred yards from my doorstep. As it turns out, he is for peace. Surprise. I, a druid, preached for peace at the Episcopal Cathedral here, St. John the Divine, two Sundays ago. I enclose a copy of what I said, more or less. If anything in it is of any use to you, please help yourself. The copyright is owned by the Cathedral, which paid me zero. They wouldn't have the balls to sue, no matter what you did." In 1967 the International War Crimes Tribynal held sessions in Stockholm and Roskilde, in Denmark, to hear evidence on the conduct of the war in Vietnam. Invitations to the American Government had been ignored. 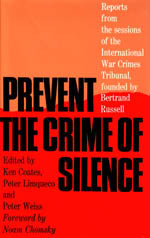 This book is intended to assist Russell's initial request of the Tribunal 'to prevent the crime of silence'. The eyewitness reports collected in this volume were produced shortly after the Hungarian uprising by communists who were there at the time and whose feelings and convictions were deeply shaken by their experiences. 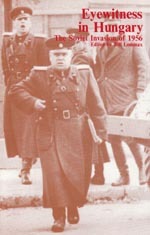 Each description sheds an individual light upon the dramatic days between the first and second Russian interventions in such a way as to show how and why the events of 1956 made such a lasting impression not only upon Hungarians but upon everyone affected by the politics of East-West conflict.